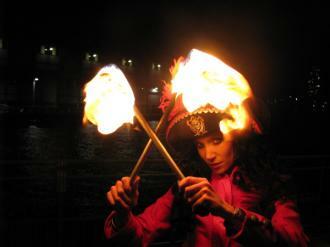 A Stage/ Roving "Fire In Motion"Concept adapted to Pirate Theming. 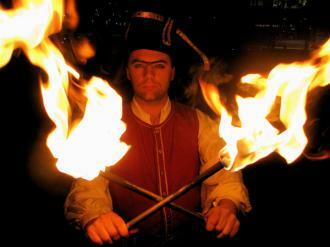 Juggling, Twirling, Ropes of Fire, Breathing, Eating, Juggling Knives, Double Sticks and more. Other Pirate Characters available on request.